Are you and some friends thinking about a visit to explore Argentina's beautiful countryside, sipping your way through the vineyards before trying your luck at tango in the famed city of Buenos Aires? If so, you might consider group travel to Argentina - it's a wonderful way to explore this immense South American country, spending quality time with your friends, having a blast, and you'll back fondly on all those laughs for years. You can travel for free to Argentina if you have a large enough group - airlines and hotels provide complimentary bookings for group leaders or hosts as a thank you for organizing everyone together. Considering how many great places there are to visit in Argentina - even a trip just to Buenos Aires would need several days of exploration - don't be tempted to have a strict itinerary with every day fully booked. Everyone has their own needs or interests; some will be more interested in the wine bars while others would rather really work on their tango moves. A well planned itinerary which includes those fun group experiences as well as plenty of independent time to let individuals spend their day as they please will ensure that everyone on your trip has a terrific time. There's something for everybody in Argentina, so why not let them pick their favorites? Is it time to get ready to book your trip to South America? The team here at go-today can help. Our travel planners and Argentina experts are able to help make your trip a success, either with a review of your current plans or if you haven't, we can put together a unique itinerary that takes into account the length of trip and the activities you'd like to enjoy while you're there. 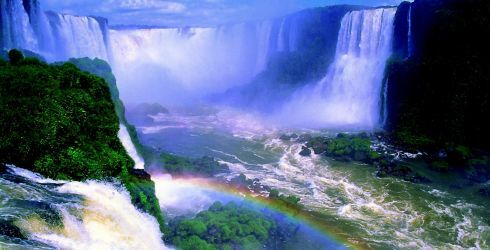 Go-today has a lot of ideas for group vacations from visiting Buenos Aires to visiting Iguazu Falls. Whether you want to splurge on a luxury hotel or you are looking for the deepest discount group rates available, we have the experience to make the most out of traveling with a group, large or small. Go-today offers an enticing collection of tours to Argentina. Sample itineraries are a great starting point for group trip ideas. Our Argentina itineraries can be modified as much or as little as required to meet the needs of your group. Argentina boasts a long coastline, tall mountains, cosmopolitan cities, quaint villages, tropical jungles, glistening glaciers and one of the most spectacular waterfalls in the world. It has a rich and diverse culture, punctuated by both historic and modern events that have shaped its personality. European influences endure still today as Buenos Aires is often called the 'Paris of the South.' Lively nightlife centered around tango contrasts with the farm life on a traditional estancia. We'll even hop across the border into Uruguay to get a feel for its tumultuous colonial past. So come feel the pulsating rhythms of the barrios, feast on succulent beef, feel the spray of the thunderous waterfall and shop for luscious leather products demonstrating how easy it is to stretch your US dollar. View the complete day to day Buenos Aires, Uruguay, Iguazu Falls Itinerary. This tour features many of the most amazing natural wonders of this diverse country as you step outside the bounds of civilization. Compare the moving waters of thundering Iguazu Falls to the creeping glacier ice fields down south in Patagonia. Get up close and personal with these natural phenomenons - a nature lover’s dream! View the complete day to day Buenos Aires, Iguazu Falls, Patagonia Itinerary. The major highlight of this trip is the scenic lake crossing from Chile to Argentina. The spectacular Andes Mountains and lush forests surround the deep crystal blue waters that make up your route from Puerto Varas, Chile to Bariloche, Argentina. Surrounded by piercing mountain peaks, this area has been compared with Switzerland for its majestic beauty and quaint atmosphere. Visitors make the crossing via a series of boats and coaches through the spectacular scenery of the two bordering countries. View the complete day to day Chile and Argentina: Santiago, Lake District, Buenos Aires.